Native Americans have served their country in the armed forces at proportionally higher rates than any other ethnic group since the Revolutionary War. Generations of Indigenous Americans have patriotically served and continue to serve in every branch of the U.S. military. The Smithsonian Institution’s Native American Veterans Memorial, scheduled to open Veterans Day 2020, will be the first to honor all Native American, Alaskan Native and Hawaiian Native servicemen and women in all branches of the service who participated in every U.S. conflict dating back to and including the American Revolutionary War, said Rebecca Trautmann, who is the project coordinator for the Smithsonian Institution’s National Museum of the American Indian in Washington, D.C. Located on the National Mall in Washington, museum and memorial organizers launch an international open call design competition Nov. 11. Native and non-Native, students, professionals, architects and designers can enter, as well as anyone else who wants to pay tribute to the patriotic Native American personnel who have made myriad sacrifices for their country. The contest closes Jan. 9. 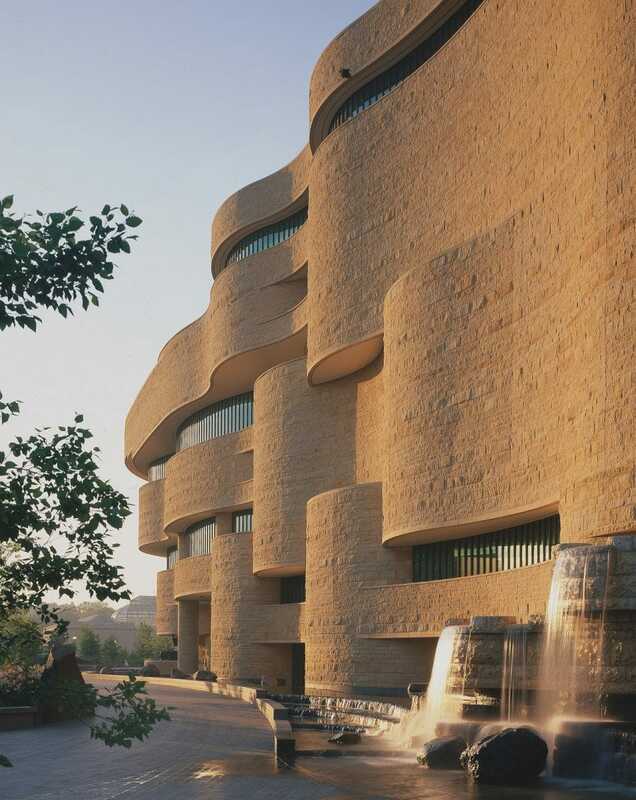 The memorial will be built on NMAI grounds between the Smithsonian Institution’s National Air and Space Museum and the United States Capitol. It is estimated to cost $15 million to build and maintain as well as develop and provide associated educational programs. 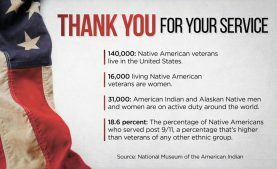 More than 140,000 Native Americans alive today are military veterans. 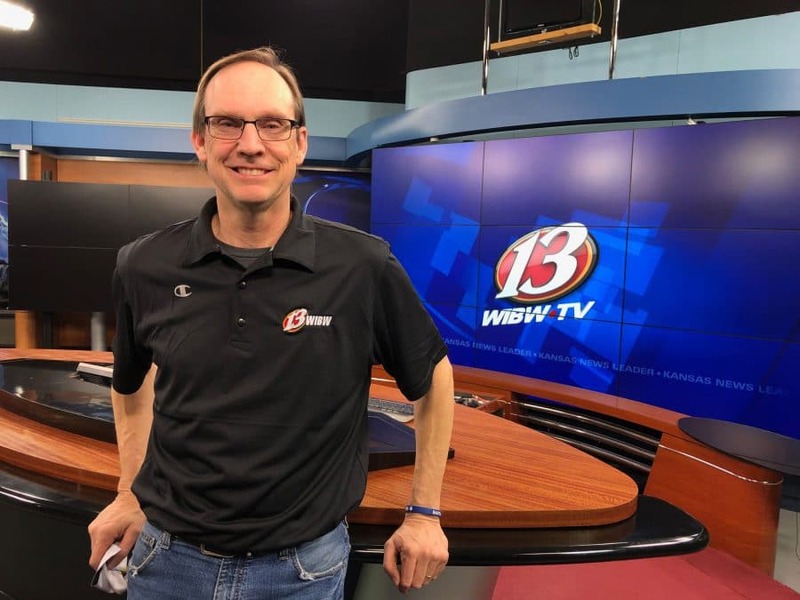 Advisory committees comprised of tribal communities, leaders, veterans and others have met with more than 1,200 people in cities and states across the nation since 2016 to develop the center’s mission, goals and guiding principles, Trautmann said. Museum and memorial leaders have consistently heard several key desires from community discussions, Trautmann said. Other top findings will be revealed Nov. 11 on the memorial’s official website, nmai.si.edu, where entrants also will find design competition submission guidelines. The winner is chosen through a juried, two-stage process including Native and non-Native veterans, architects, designers and scholars. The top design will be announced next summer, Trautmann said. The tribe contributed $100,000 and historical content to the project, the Hownikan reported in December. The CPN Cultural Heritage Center in Shawnee, Oklahoma, is also hosting a National Native American Veterans Memorial traveling banner exhibition, Patriot Nations: Native Americans in our Nation’s Armed Forces, through Jan. 15. Museum and memorial fundraising is an ongoing effort, Trautmann said. Congress approved the project in 2013 but declined to appropriate any federal funding, which means support from tribal nations, foundations, private citizens and corporations is a necessity. The funds also help support, develop and provide NAMI’s educational and public programming. Close to the National Museum of the American Indian near the National Mall is the national Vietnam Veterans Memorial, its related national Vietnam Women’s Memorial and the Three Servicemen Memorial. The National Mall and its memorials, museums and attractions draw an estimated 24 million visitors a year. In 1989, U.S. Sen. Daniel Inouye from Hawaii introduced the National Museum of the American Indian Act. After Native American leaders discovered the Smithsonian Institution had stored up to 18,000 Indigenous remains, the act established the National Museum of the American Indian as a “living memorial” to American Indians, Alaska Natives and aboriginal Hawaiians. The act also mandated remains, illegally acquired objects and funerary, and sacred and cultural patrimony objects be considered for repatriation to tribal communities. Representing more than 1,200 cultures throughout the North Americas, NAMI’s collections include 825,000 items spanning 12,000 years of history. Part of the Smithsonian Institution, the museum now has three branches: The Washington, D.C., site opened on the National Mall in 2004 and took 15 years to complete; the National Museum of the American Indian’s George Gustav Heye Center in Manhattan, New York City, first opened to the public in 1922; and Suitland, Maryland’s Cultural Resource Center opened in 1999, which houses the museum’s collections, photo archives and a library.